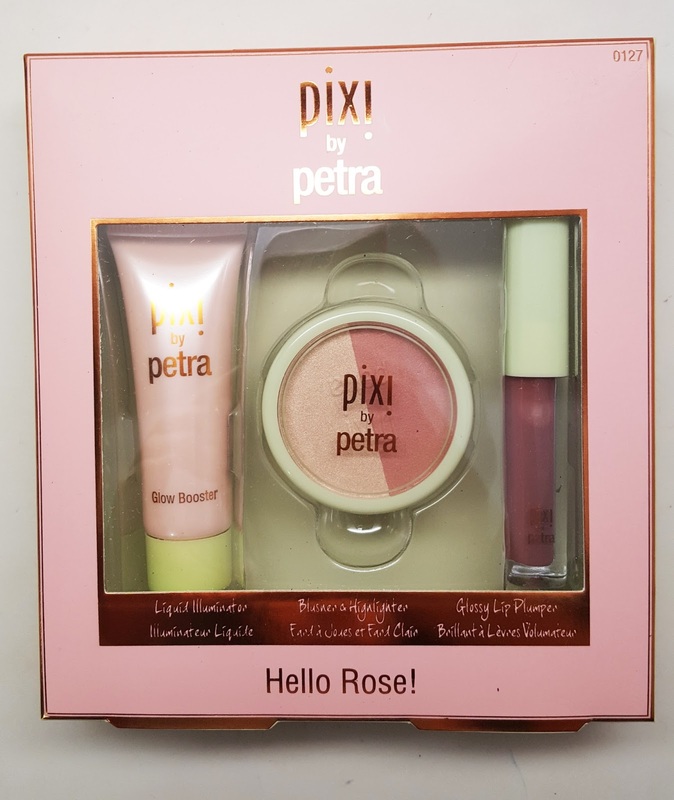 Check out this gorgeous new collection from Pixie called Hello Rose. If you're all about that glow, this is for you. I was pleasantly surprised to see how gorgeous these colors popped on my tan skin. Check it out! Three products come in the collection: a liquid highlighter, a blush/shimmer duo, and a gloss...all in rose/gold tones. These products perfectly coordinate for a fresh, springy look. This liquid highlighter can be used in so many ways. 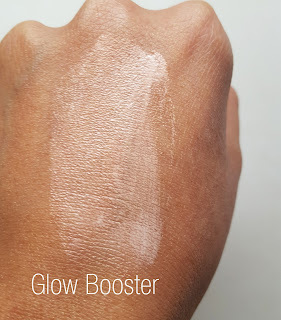 Apply Glow Booster to the skin or add it to your base to create a beautiful sheen. 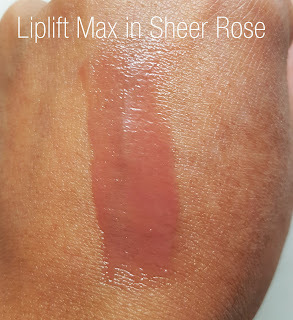 The shade is like an opal rose, it looked great on my tan skin, yay! A lot of times drugstore highlighters are too light for me, this one was just right. This gloss is the perfect everyday lip color. 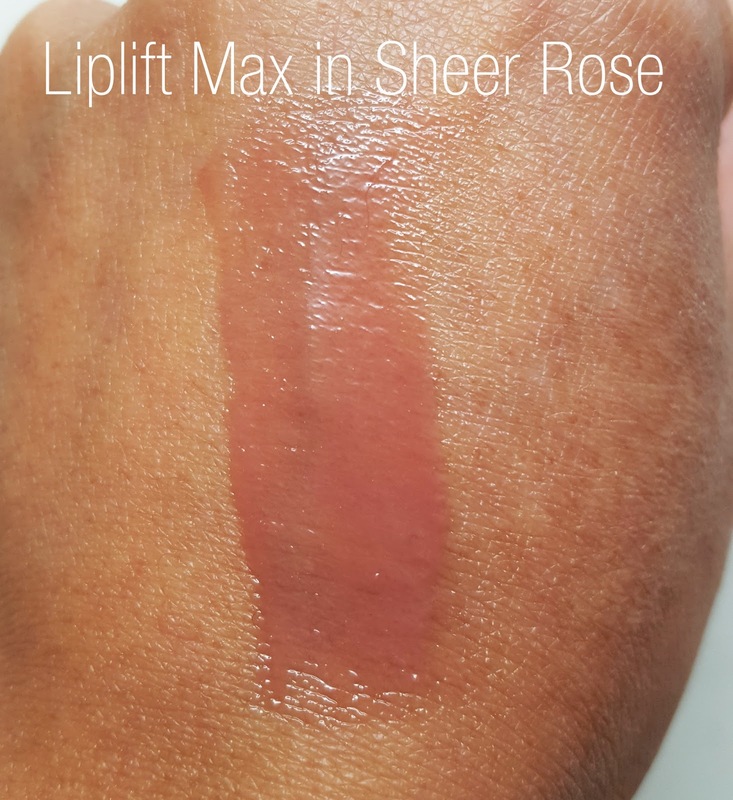 I think this rose hue looks good on all skin tones. It's got a nice shine without being too "wet" looking or sticky. Wear the lip plumping gloss alone or over your favorite lip colour. I personally didn't notice the plumping effect but this is still a great gloss regardless. 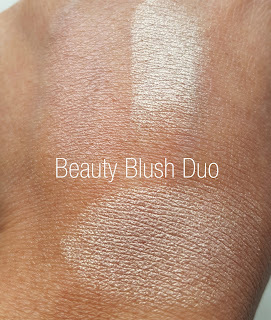 This blush duo can be used alone or together. I found that mixing it together gave such a pretty rose gold highlight. The blush alone is too sheer for my skin tone. But together? A gorgeous glow. I have a couple of looks featuring these products coming soon. 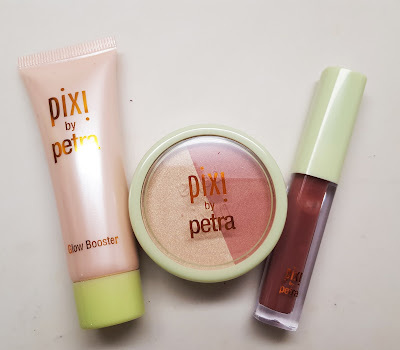 In the meanwhile you can find this collection at www.PixiBeauty.com or at Target for $22 which is a great deal for all 3 products.